OTTAWA - A government study has found that a common anti-bacterial agent found in everything from shampoo and toothpaste to toys is harmful to the environment, but safe for humans. Health Canada and Environment Canada are proposing that industry voluntarily cut the amount of triclosan it uses, particularly in personal-care products that tend to get rinsed away into lakes and rivers. The preliminary report under the Canadian Environmental Protection Act was published in the Canada Gazette on Friday, setting off a 60-day public consultation period. "We are challenging industry to come forward and look at ways where they can put in voluntary measures to limit the amount of triclosan used and eventually released into the environment," Dr. Robert Chenier of Environment Canada said in an interview. "Certainly the concentrations out there are sufficiently high where they could be having effects." Triclosan is a bacteria-killing agent that's being added to a growing list of every-day consumer products, including liquid soaps, hand sanitizers, cosmetics, laundry soap and pesticides. Concerns have been raised that its widespread use may be triggering hormonal changes, or causing anti-microbial resistance that could lead to super bugs. However Dr. Paul Gully of Health Canada said the preliminary report — which runs to 137 pages — found no evidence of any direct health impacts. "There's no evidence in any of the data that's been looked at by Health Canada, in North America and Europe and elsewhere, that there are any direct health effects to humans," said Gully. Nonetheless, Gully said consumers can reduce their environmental impact by checking the labels of common products for triclosan, and using alternative products. Hand washing with regular soap, he said, is "highly effective" and alcohol-based hand sanitizers work well without the antibacterial agent. And he stressed that the public consultation period is an opportunity for the collection of new information — including any evidence of anti-microbial resistance — that could influence the government's ultimate decision. Some environmental groups would like to see the agent banned, but say they're satisfied the government is moving in the right direction. Maggie MacDonald, toxic program manager at Environmental Defence, said triclosan is used in a huge array of products, sometimes for puzzling reasons. She cited socks, garden hoses and iPhone cases as a few examples. Apart from its high toxicity to algae, invertebrates, fish and frogs that can be critical to local ecosystems, triclosan can also break down into dioxins and can react with chlorine to make chloroform, said MacDonald. 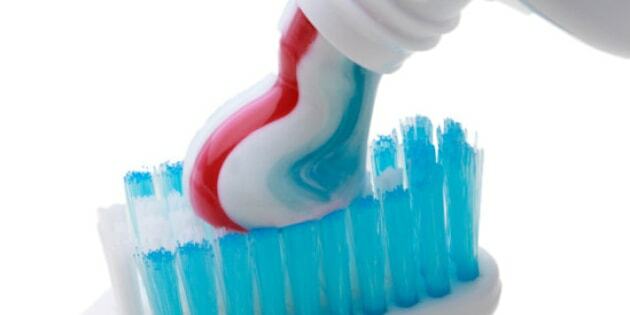 Studies in animals have suggested triclosan mimics hormones and interferes with reproduction, she said, and this has not been properly examined in humans. "What we have is a gap in the research, and the gap in the research is being treated as reassurance, which it should not be. We should be finding out answers to those questions," said MacDonald. In 2010, Canada became the first country to declare bisphenol A, or BPA, a toxic substance and banned its use in baby bottles. And last year Canada sharply restricted the use of phthlates, a family of chemicals used to soften plastic and vinyl. MacDonald hopes the preliminary assessment of triclosan puts the anti-bacterial agent on the same track. "We think this is a fantastic start to a process that could see this substance eliminated from household use," she said. The last time Ottawa did a full audit of triclosan in 2000, if found industries had imported 54,000 kilograms that year. The current level of use is not known and that too will be examined before the final assessment is made in 2013.